Thousands of people in southern Quebec might have to spend another night without electricity. Power will not be fully restored for at least another 24 hours, emergency officials said Tuesday afternoon. More than 250,000 people across southern Quebec were without power on Tuesday after freezing rain hit the region on Monday. Most of those cases were in the Laval and Lanaudière regions north of Montreal, and the Laurentians, located northeast of Quebec City. “There are lots of little power breaks due to the storm, which is why it’s taking time to rectify the situation,” said SylvainGariépy, a division chief of operations with the Laval fire department. He said 71,712 people in Laval were without power on Tuesday at 3 p.m., which is down from 91,000 on Monday. Hydro-Québec says the power will not be fully restored until Wednesday. She said the provincial government is in constant contact with all municipalities. “If there are any more needs, we will adjust the situation,” Guilbault said. The power failures have caused dozens of emergencies ranging from carbon monoxide poisoning to fires and traffic pileups, especially in Laval, fire and police officials said Tuesday. Gariépy said his crews have responded to fires, including house fires caused by candles. He said there have also been two cases of carbon monoxide poisoning, including one family that brought a barbecue in the house to warm up. A man was also found unconscious after authorities believe he inhaled toxic fumes from a fuel-burning generator he had indoors. Gariépy said five people in total have been taken to hospital so far, but all are in good condition. Carbon monoxide leaks have occurred as a result of people bringing barbecues and stoves into their homes, and bringing generators too close to their homes, he said. 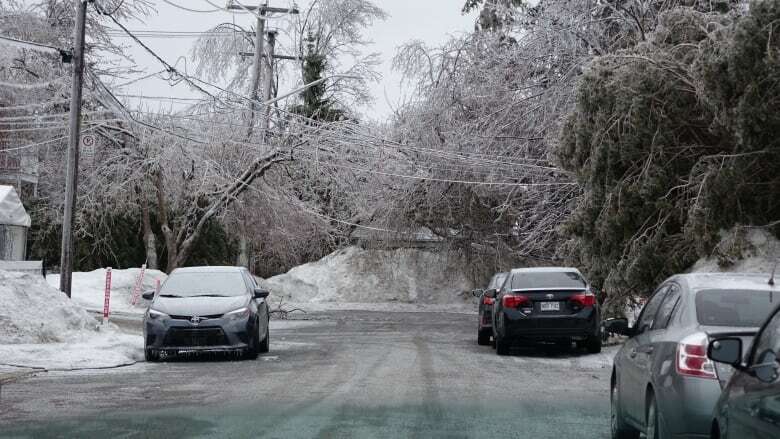 The power outages began Monday morning as freezing rain and high winds rolled into the province, coating surfaces in slick ice and knocking down trees and power lines. Hydro-Québec spokesperson Louis-Olivier Batty said the power company has deployed every available team to restore power as quickly as possible. Crews have to repair an estimated 600 individual outages, mostly in Laval, the Laurentians and Lanaudière — and to a lesser extent, in the regions of Montreal, Montérégie, which is east of Montreal, and Outaouais, near Ottawa. “In many areas, before our crews can access the network, we have to clear these branches and trees, so it’s not helping our crews to do the work,” he said. In Laval, authorities are going door to door to check that seniors and people in vulnerable positions are safe. Batty encouraged people to check on friends and relatives and to make sure that carbon monoxide and smoke detectors are working properly. Laval police spokesperson EvelyneBoudreau said the city is providing community space where people can keep warm, eat and take a hot shower. Without street lights operating, she said a number of car accidents had been reported, including one pileup. “Police officers are assigned with every other employee of the city to patrol the streets and to be on the lookout for people using generators, for different people asking for help,” said Boudreau. YannickRoussy woke up Tuesday to see a lot of branches on his property in Laval. He has been without power at his home since 10:30 a.m. Monday. He was heading into work Tuesday, not knowing if there was power there, but he was certain he’d be ending the day by cleaning up his property. School boards across the Laval, the Laurentians and the Lanaudière regions closed schools for the day. Commission scolaire de Laval (CSDL). Commission scolaire de la Seigneurie-des-Mille-Iles. A number of private schools in the area. Guy Dumont, a janitor with the CSDL in Laval, stopped by work to take out the trash and recycling before heading home Tuesday morning to try to keep warm with his kids. 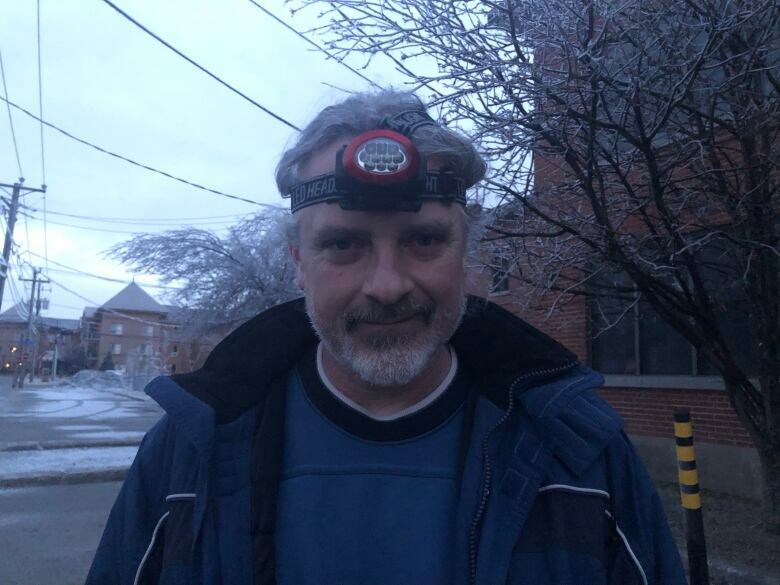 “My kids are home, too, because there is no school [for them], too,” said Dumont, who was wearing a headlamp at 6 a.m. while he tidied up at Les Explorateurs school on Bédard Street. McCallum says Meng has a strong case against extradition. Is he right?